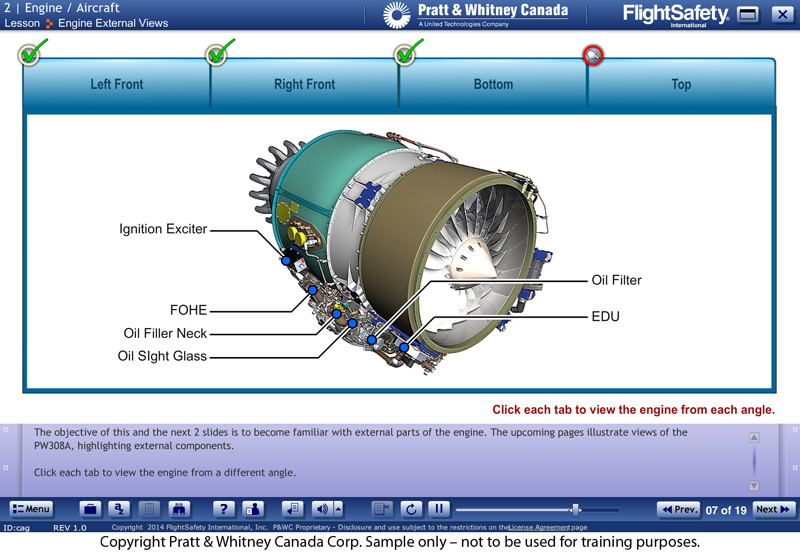 Level 1 General Familiarization online training for Pratt & Whitney Canada PW308A engines. 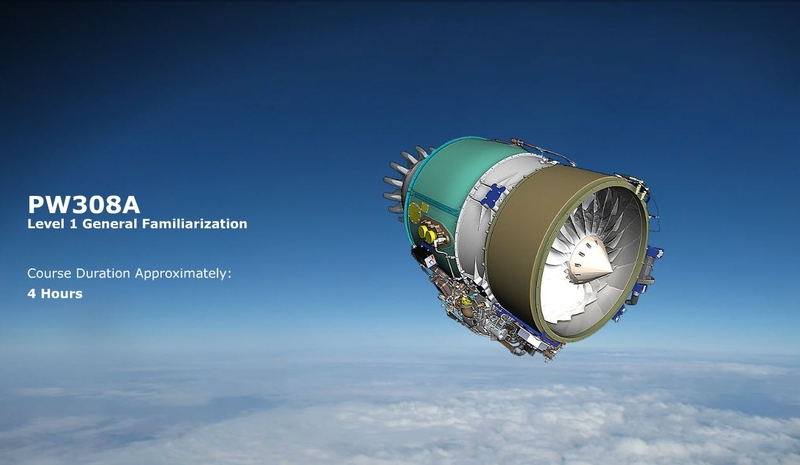 Applicable to Hawker 4000 aircraft. P&WC Employees click here for registration instructions. Course Access:You will have access to this course for one full year. Delivery: 100% web-delivered and self-paced. Credit: Once you have completed the course and successfully passed the test, you are awarded a FlightSafety International certificate of completion. 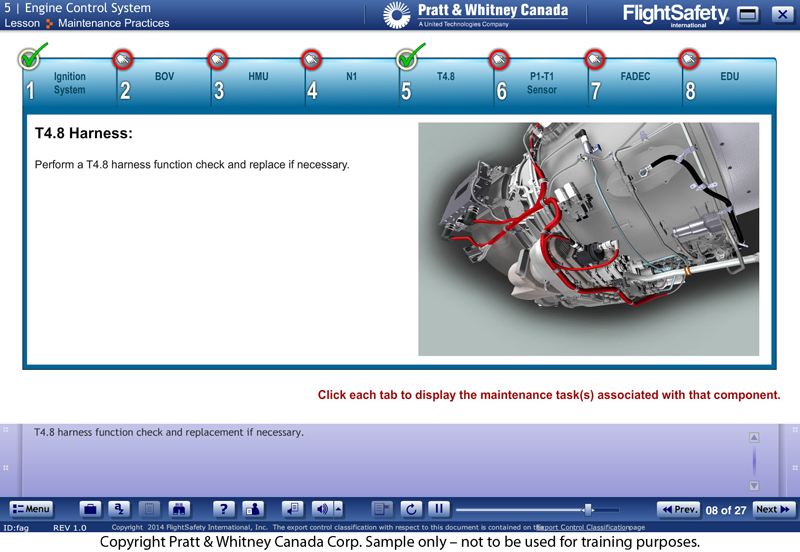 If you are an existing FlightSafety customer, you can also pick up your record of training in myFlightSafety. For more information on FlightSafety's Full Service Program, please contact your Regional Sales Manager or a Center Sales Manager at any FlightSafety Learning Center. If you wish to enroll, we'd love to hear from you! Hours of Operation: 9:00am-5:00pm US Eastern Time [GMT-5], Monday through Friday, excluding holidays. For assistance outside of our hours of operation, please email us at eLearning@flightsafety.com and someone will get back to you during normal business hours. 1-316-220-3231 LiveLearning@FlightSafety.com 9:00am-5:00pm [GMT-04:00], Monday through Friday excluding holidays.